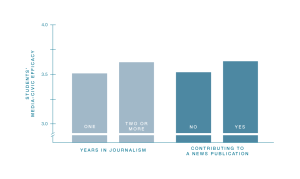 Nationally representative data show that former student journalists vote more frequently in their late teens and early 20s than their peers with no journalism experience. 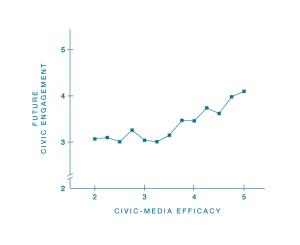 The study, conducted by Peter Bobkowski and Patrick Miller of the University of Kansas, also suggests that the civic boost from journalism is especially pronounced for students from lower socioeconomic backgrounds. 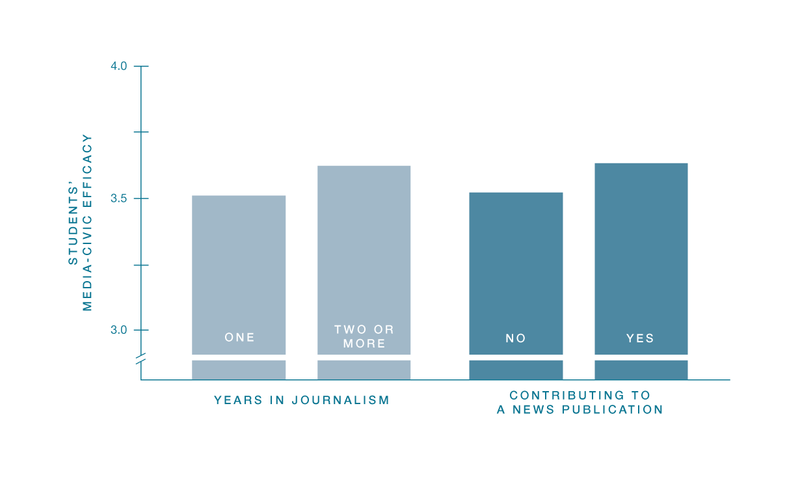 This is the first study to document a unique contribution of journalism education to adult civic engagement. Several prior studies showed that there is a relationship between participation in school activities, including journalism, and greater civic participation in adulthood. But those studies bundled journalism’s contribution with other activities. This study, in contrast, statistically controls for the contribution of other activities (and a series of other potential factors), to isolate a distinct relationship between journalism and voting. This study also shows that journalism is related to voting to a similar degree that taking debate and participating in student government are related to voting. The data used in the study come from the Education Longitudinal Study of 2002, a nationally representative survey conducted by the National Center for Education Statistics, U.S. Department of Education. A positive climate means that teachers and students respect and listen to one another, that teachers set a high standard for their students, and that students feel supported by their teachers. Ten survey questions asked about these school qualities. 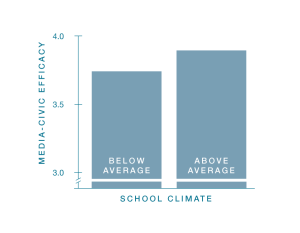 On average, students agreed slightly (4.4 on a 6-point scale) that their schools fostered positive climates. 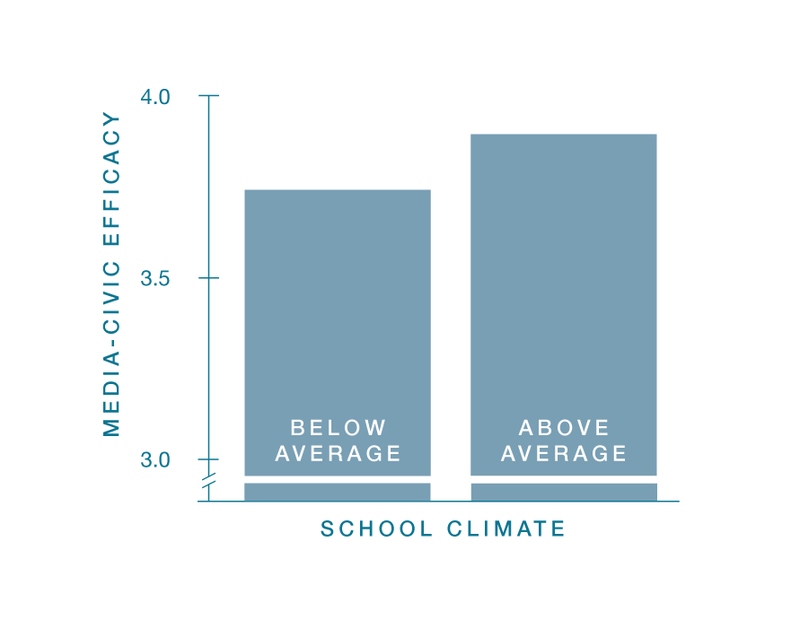 Journalists in schools with above-average climates expressed greater conviction in using the media for civic change, compared to journalists in schools with below-average climates. 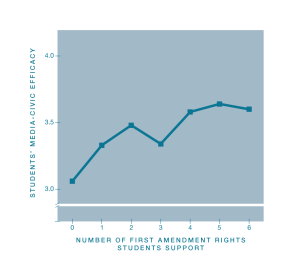 Students rated their support for the freedom of expression with five questions about First Amendment rights: the rights to voice unpopular opinions, use offensive lyrics, deface the flag, criticize the government, and publish controversial content. They also indicated if they think First Amendment rights go too far. Most students endorsed at least four of the five rights and disagreed that the First Amendment goes too far. 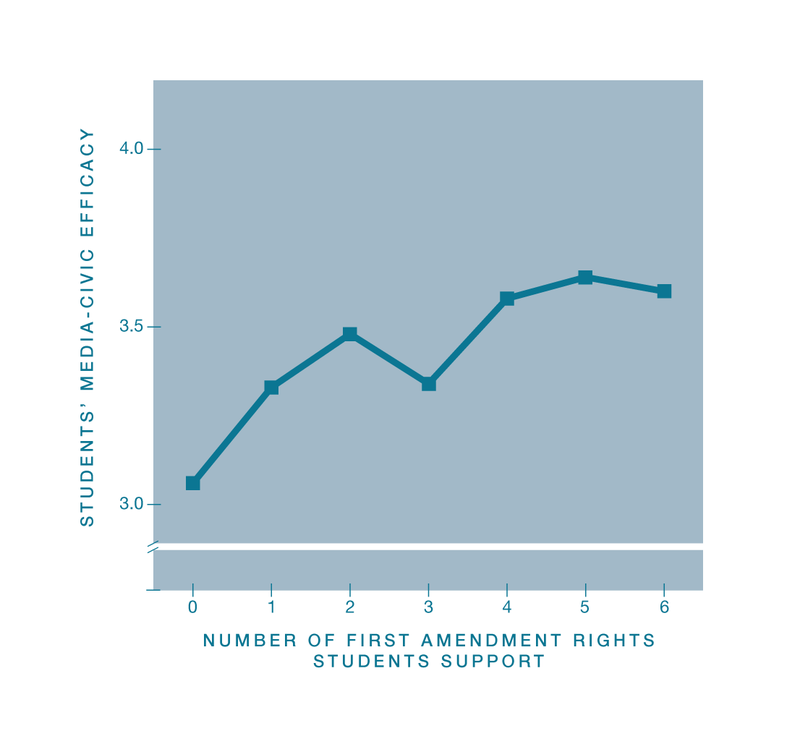 Student journalists who supported a greater number of free expression rights also were more likely than those who supported fewer rights to feel that they can use their student media for civic change. 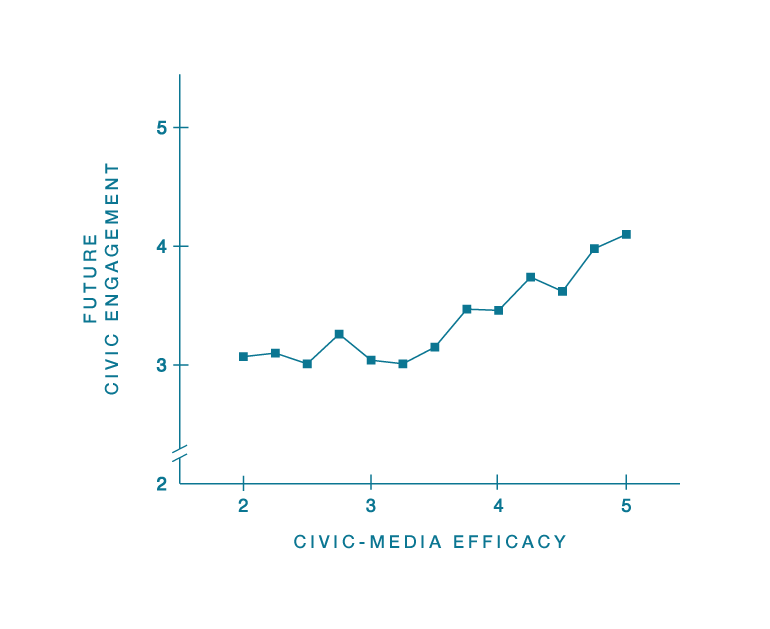 Students are more confident in their own ability to use the media as a tool of civic change when their journalism teachers exercise less direct control over their news publications and websites. To estimate the level of control, teachers reported how frequently they worried about their students publishing controversial content, discouraged their students from covering controversial topics, re-wrote articles their students had written, or prohibited their students from publishing an article. 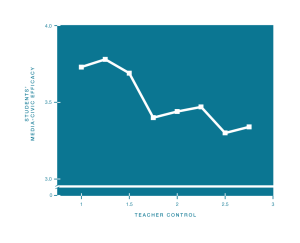 On average, teachers indicated that they exerted little control over their students’ work. Teachers’ responses overall clustered between “never” (1) and “rarely” (2). 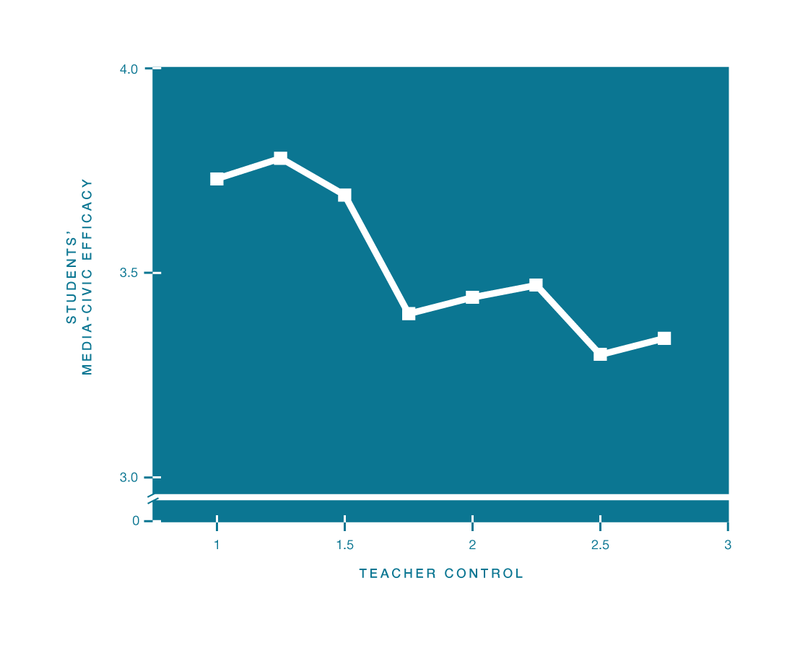 Still, teachers who scored higher on control taught students who were less likely to use the media for civic change than teachers who scored lower.